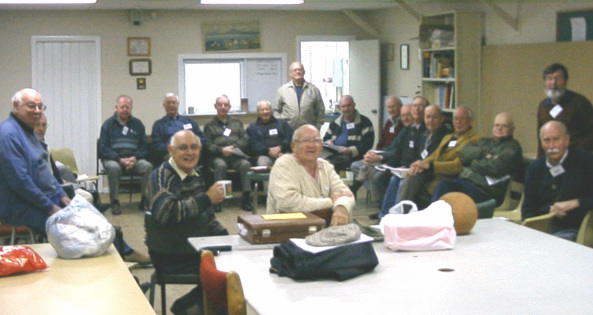 OM:NI (Older Men: New Ideas) was originally an initiative of COTA (NSW). Since June 2008, it has been an independent incorporated body. Its mission however has not changed. OM:NI’s mission is to enhance the health, well-being and lifestyle of older men. OM:NI does this through small, community-based men's groups which typically meet on a fortnightly basis. OM:NI is not political. It is not an activity club or a service club. Nor is it anti-women. OM:NI is about mateship. It’s a place where men listen to other men, share joys, sorrows, achievements and hopes. OM:NI groups are unique in creating a safe male-only sharing experience. As each group is crafted and managed by it’s members there is a strong sense of belonging, and there are no two groups identical. Over time, there are many examples of men addressing significant issues that have prevented them from enjoying full and enriching lives. This, in turn, leads to a greater willingness to become more involved in family and community events. OM:NI members show an increased interest in retirement, in better communications, and improved listening skills with family members, friends and community. They have an enhanced sense of direction and purpose in their lives. Partners and family members report improved companionship and members tell of being empowered to take greater control of their lives.